It appears that the problem with accessing the Contacts app in Android is an ongoing issue. And if you’re reading this article, chances are you have the same problem. People don’t expect from such a simple app to cause any problems. And it’s very simplicity leaves us a very little space for troubleshooting. Contacts barely has a Settings page, which makes users wondering if there’s anything they can do to resolve this problem. Luckily, the problem usually doesn’t lie in the Contacts app itself. It’s usually other apps or services that are blocking Contacts from opening. So, we’re going to investigate the case in this article and bring your precious contacts back to you. Believe it or not, contacts occupy memory, too. Unless you keep them in your Google account. So, if your contacts are stored locally, and your phone memory is low, there can be some interferences. Before you do anything else, make sure you have enough free memory on your phone. If your phone’s memory is low, delete some unnecessary apps, or clear the cache, and you should be good. On the other hand, if you have enough memory, but the contacts are still ‘broken’, move on to another solution. 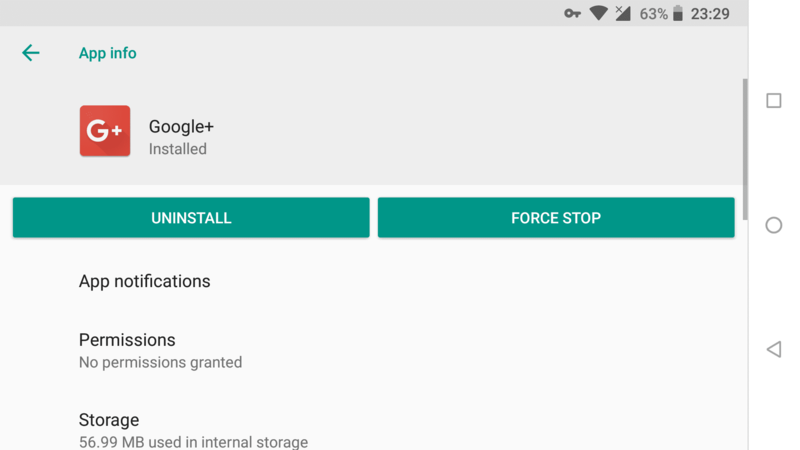 Some users who have encountered this problem before suggest that disabling or uninstalling the Google+ app solves the problem. I can’t tell why Google+ causes interferences with the Contacts. But, disabling it may solve the problem. Navigate to Apps & notifications, and tap See all apps. Tap Google+, and go to Uninstall. This is all good if you’re not using Google+. You won’t miss it. But if you do use Google’s social network, I doubt you’ll want to get rid off it for such a bizarre reason. In that case, just stop the app, reboot your phone, and hopefully, you’ll solve the problem. Go to Settings > Apps & notifications, and tap See all apps. Tap Google+, and go to Force stop. Don’t forget to reboot your device. Another thing that can cause problems with contacts is your voicemail service. Numerous users say that deleting old voicemails actually solves this problem. So, if previous solutions didn’t work for you, go and delete your old voicemail messages. Maybe you’ll solve the problem. This one’s actually a bit tricky. Because it depends on your carrier. Although we know old voicemails can actually cause the problem, nobody ever confirmed which carriers’ voicemail services cause the contacts issue. And I can’t tell you if your carrier is on ‘the list’. The Contacts app should have the permission to access your contacts by default. And that’s how it is most of the time. 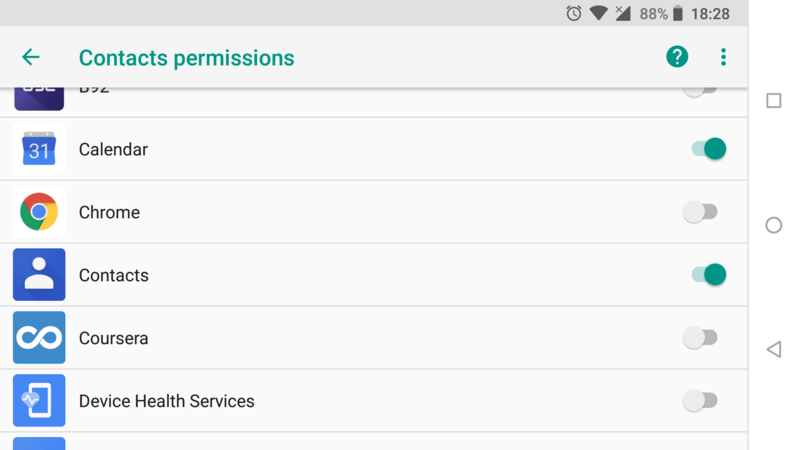 But the Contacts app may lose that permission for any reason. Maybe it’s a faulty update, or you just disabled the permission by accident. Navigate to Apps & notifications, and tap Permissions > Contacts. Make sure the Contacts app has the permission to use contacts by toggling it on. That’s about it. At least one of these solutions should help you access the Contacts app on your Android phone again. But if you actually can access the app, but the concepts are just not there, don’t worry, we’ve got you covered, as well. If you can one the Concats app, the contacts are just not there, congratulations on your new phone! There are just two scenarios that come to my mind when it comes to vanished contacts. You either just got a new phone and have yet to set it up, or you simply logged out of your Google account. If you’re not signed in to your Google Account, your phone cannot import contacts associated with it. Well, just sign in with your Google Account, and you should be good. Don’t worry your phone will remind you to that every second, so you don’t really need a tutorial on that one. Once you’ve set up your Google Account, contacts associated with it should appear automatically. 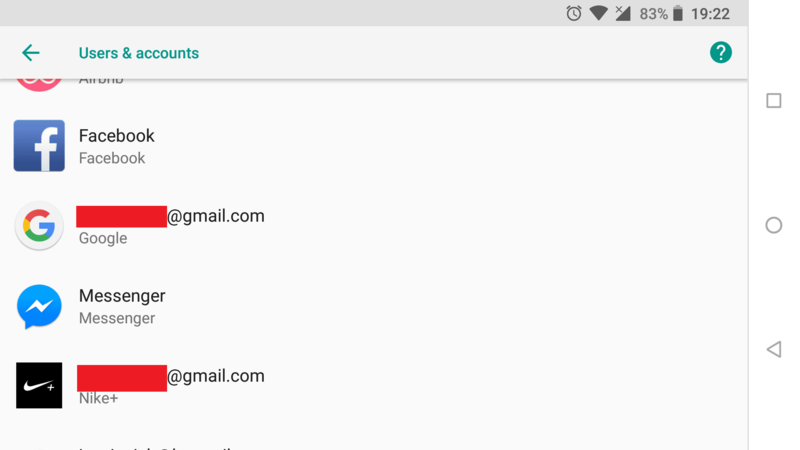 If you’ve ever used your Google Account on an Android phone before, your contacts should sync automatically. However, there’s a chance you still cannot see your contacts, in which case you’ll have to sync them manually. Go to Settings > Users & accounts. Find your Google Account (email). Make sure Contacts are toggled. 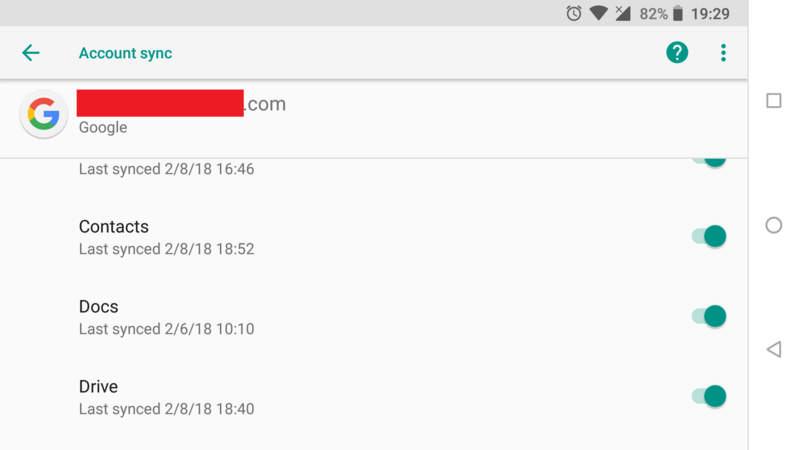 Wait a couple of minutes for Google to sync contacts. Now, just log back in to your new phone, and synced contacts should be there. 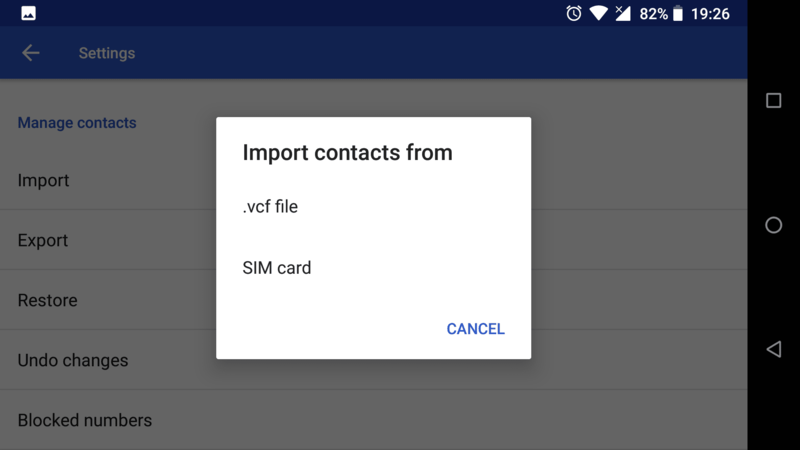 And finally, if you don’t keep your contacts in your Google Account, but prefer SIM or microSD card, you’ll have to import your contacts first, before being able to access them. Tap the three-tabbed button and go to Settings. Tap Import and choose the source of your contacts. Wait a couple of minutes for contacts to sync. That’s about it. I hope that at least one of these solutions helped you resolve the problem and that you can access and see all your contacts once again. If you have any comments, suggestions, or additional questions, just let us know in the comments down below.